While I am not the biggest fan of the commercialization of Christmas, I did manage to create a few decorating vignettes around the house. 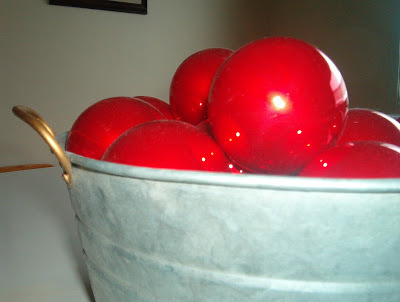 I love the juxtaposition of the glossy red balls against the rustic tin pail on my breakfast nook table. 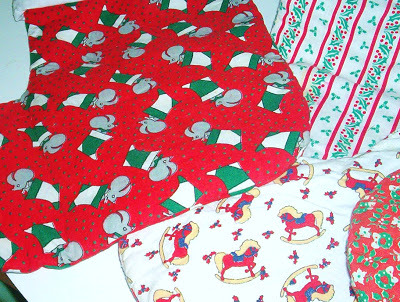 Our Christmas stockings - they're ancient now! Can you guess which one belongs to the Horsey Girl? 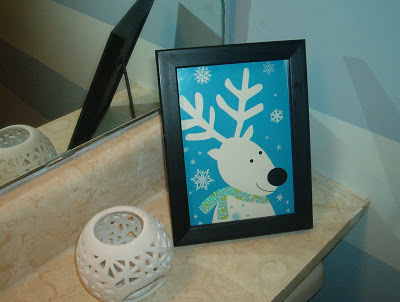 The powder room - I placed an old Christmas card in a $2 frame from Walmart. Over the years, Jack and I have gifted our kids every year with Christmas keepsakes. They each have received around a dozen of these ornaments. 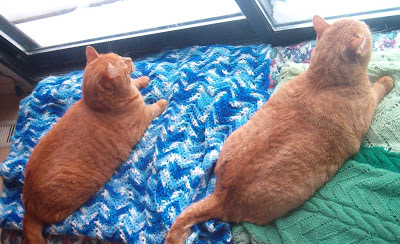 We continued this tradition into their late teens until they told us they were no longer interested in getting them. (Kids!!) The Creative One received nutcrackers and the H.G. got Seraphim Classics angels. 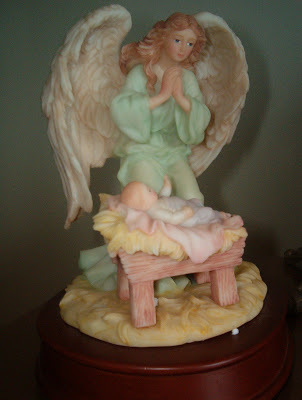 I liked the angel (above) so much, I bought it twice! (Albeit in snow globe form!) That was a funny moment on Christmas morning! The C.O. 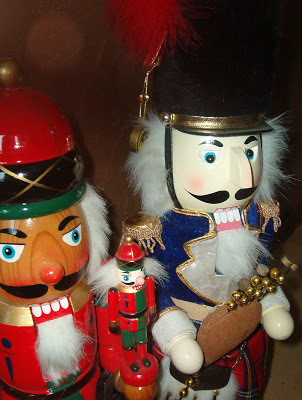 's nutcrackers include the Irish one (right) to honour our ancestry and the German one (left) with his own "mini-me". 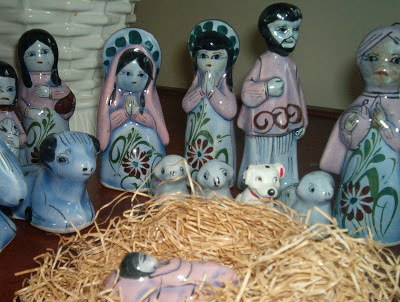 Jack and I picked up this nativity scene in Mexico on our (slightly belated) honeymoon. Notice the dalmatian? When the C.O. was a little boy, he received a fire truck for Christmas one year. A dalmatian from the set kept popping up in the display, so we decided to keep him as part of our traditions. We call him "The First Dalmatian". But the best part of Christmas??? ?